The International Journal of Sustainable Human Security (IJSHS) is a publication of the World Engagement Institute. Each issue of the journal includes international policy studies, applied research articles and professional analyses organized on special topics in relation to human security. Each number is peer reviewed and co-edited by Dr. Marco Tavanti and a member of the Editorial Board. IJSHS serves as an arena for the public discussion and scholarly analysis of human security in relation to specific topics. It seeks to broaden the study of human security by fostering a sustainable framework and an approach that is grounded in the theory and practice of human security internationally. The journal provides the opportunity for the critical and constructive examination of the sustainable human security to seek different visions and effective sustainable solutions for complex issues. The journal has thematic calls for each number. The editorial board welcomes papers from scholars and disciplines connected or relevant to the topic of human security and from other disciplines or fields of inquiry, which have traditionally been underrepresented in the field of human security. IJSHS is committed to theoretical and ideological diversity in the study of systemic solutions to complex problems of humanity seeking freedom from fear, from want and from freedom to live with dignity. The journal editor welcomes the collaboration in special issues as well we unsolicited submissions from scholars and practitioners alike. The following is a selection of publications by WEI associates. They are sorted chronologically beginning with the most recent publications. They reflect topics and issues in relation to the areas of interest of our Institute and they can be useful resources for trainings and research. If you would like to suggest additional resources to be highlighted on this list or to request a complete list of publications of all or some of our associates please contact our office. Tavanti, Marco & Stachowicz-Stanusch, Agata (Eds). 2014. Sustainable Human Security: Corruption Issues and Anti-corruption Solutions. Common Grounds Publishing – Sustainability Book Collection. Sustainable Human Security addresses the systemic and inter-generational capacity for the protection and promotion of human survival (freedom from fear), human development (freedom from want), human dignity (freedom from shame), and human sustainability (freedom from vulnerability). This volume explores sustainable solutions and systemic issues in relation to human security and corruption. The selected articles from the International Journal of Sustainable Human Security (IJSHS) offer relevant theoretical and valuable practical insights into the complex relations of these topics at the international level. Authors present Latin American, European, American, Asian, African, and Middle Eastern perspectives on corruption issues and anti-corruption solutions. The notion of sustainable human security is illustrated in its historical evolution and relevance to international development, human rights, private companies, good governance, and accountability systems. Tavanti, Marco & Sfeir-Younis, Alfredo. “Human Rights Based Sustainable Development: Essential Frameworks for an Integrated Approach.” The International Journal of Sustainability Policy and Practices, Vol. 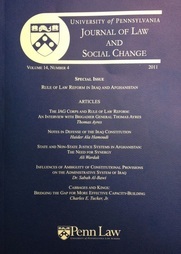 8, 2013, Volume 8, Issue 3, pp.21-35. Feisal Amin Rasoul Al-Istrabadi. 2012. Islam and the state in Iraq : the post-2003 constitutions. In Grote Rainer, and Tilmann J. Röder. Constitutionalism in Islamic countries: between upheaval and continuity. Oxford: Oxford University Press. 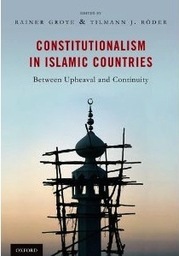 "Constitutionalism in Islamic Countries: Between Upheaval and Continuity examines the question of whether something similar to an "Islamic constitutionalism" has emerged out of the political and constitutional upheaval witnessed in many parts of North Africa, the Middle East, and Central and Southern Asia in order to identify its defining features and to assess the challenges it poses to established concepts of constitutionalism. This book offers an integrated analysis of the constitutional experience of Islamic countries, drawing on the methods and insights of comparative constitutional law, Islamic law, international law and legal history. European and United States experiences are used as points of reference against which the peculiar challenges, and the specific answers given to those challenges in the countries surveyed, can be assessed. Whether these concepts can be applied successfully to the often grim political and social realities of their countries will provide invaluable insights into whether such a fusion can be sustained, and may even pave the way for a new era of constitutionalism in Islamic countries." Wankel, Charles, and Agata Stachowicz-Stanusch. 2012. 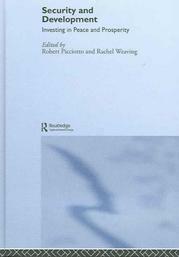 Handbook of research on teaching ethics in business and management education. Hershey, PA: Information Science Reference. Marco Tavanti. 2012. Responsible Management Education in Practice: The Principles and Processes for Educating Socially Responsible and World Engaged Leaders (pp. 546-563). 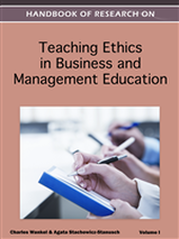 The Handbook of Research on Teaching Ethics in Business and Management Education is an examination of the inattention of business schools to moral education. This reference addresses lessons learned from the most recent business corruption scandals and financial crises, and also questions what we’re teaching now and what should be considered in educating future business leaders to cope with the challenges of leading with integrity in the global environment. The book is a comprehensive collection of research from experts in the field of business education and information ethics. The Principles of Responsible Management Education (PRME) offer a platform for institutional commitment and leadership engagement toward business ethics and poverty alleviation. The author reviews the principles in light of a need for a renewed management education centered on social responsibility, sustainability and partnership values. The PRME present a possibility for universities to engage with United Nations Global Compact (UNGC), the Millennium Development Goals (MDGs) and other multi-stakeholder partnerships. The participating institutions share a commitment for a renewed management education where private organizations become positive agents for world benefit. The process of adopting and integrating the PRME into existing programs and curricula is instrumental for educating ethical, sustainable, and socially responsible leaders for the 21st century. Nation-building. State-building. International Humanitarian Interventions. Phase IV Post-Invasion/Post-Liberation Operations. Counter-Insurgency “Hearts and Minds” Operations. Post-Conflict Stability & Reconstruction Operations (“SRO”). No matter how “it” is labeled, the United States, its coalition allies, and the broader “international community” have all been in the “business” of “it” since World War II. More significantly, since the onset of “international community” combined, joint and inter-agency operations in Bosnia and Herzegovina, they have been increasing their engagement in “it.”2 In support thereof, untold numbers of conferences examining the implications of “it” have been held; thousands of barrels of ink, reams of paper, and terabytes of electronic data have been spent in both learned and unlearned treatises examining “its” conduct; “revolutionary” military doctrines pertaining to “it” have been established, reestablished, and disestablished; scads of “tactics, techniques & procedures” (“TTPs”) operationalizing “it” have been drafted and ignored; and innovative interagency agencies attempting to coordinate “it” have been concocted, underfunded and largely allowed to wither. Astonishingly, for all the effort and commentary expended on “it,” the success of “it” has not been a common theme—or end state. This paper argues that one of the main reasons recent “it” efforts (i.e. SRO)4 have largely been unsuccessful is because most of the intellectual effort expended by the “international community” on post-1995 SRO capacity-building in general—and rule of law engagements in particular—has been on the supposedly big issues; the “kingly” issues. Such oft-examined “kingly” issues include: the (debatable) wisdom of imposing (or, if one’s sensibilities prefer, “facilitating”) federalism, confederalism, or regionalism; the proper drafting and/or redrafting of constitutions; the putative benefits of creating “big D Democracy;” the movement of certain societies from centralized economies to free market economies; the well-publicized and well-resourced conduct (pre-mature or otherwise) of national elections; the lofty (and largely unmet) goals of implementing “post-conflict” (sic) criminal justice (“PCJ”) mechanisms; and the absolute imperative of establishing (and actively implementing) “international community” “exit strategies.” What are not often examined (or appropriately resourced), however, are the most appropriate means and methods of facilitating day-to-day local/regional governance and rule of law capacity-building mechanisms; i.e., the “cabbage” matters. Afsaruddin, Asma. 2011. 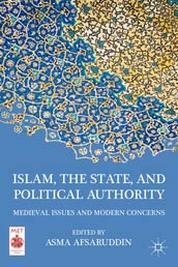 Islam, the state, and political authority: medieval issues and modern concerns. New York, NY: Palgrave Macmillan. Stachowicz-Stanusch, Agata. 2010. Organizational immunity to corruption: building theoretical and research foundations. Charlotte, NC: Information Age Pub. "The current discussion about corruption in organizational studies is one of the most growing, most fertile and perhaps most fascinating ones. Corruption is also a construct that is multilevel and can be understood as being created and supported by social and cultural interaction. As a result, an ongoing dialogue on corruption permeates the levels of analysis and numerous research domains in organizational studies. Thus I see a major opportunity and necessity to look on corruption from a multilevel and multicultural perspective. Second, in the global society of the world today where organizational boundaries are becoming increasingly transparent and during the Global Crisis, which has been rooted in unethical and corrupt behavior of large corporations, a deeper understanding of corruption, its forms, typologies, ways to increase organizational immunity and the best practices how to fight against corruption that are particularly significant and can also uncover it means that individuals, groups, organizations and whole societies can be used to sustain a sense of purpose, direction, meaning and the right way for creating a moral frame for the ethical behavior in the world of flux. Third, there is a growing pressure in the field of organizational studies and management to formulate theories that stimulate thinking of corruption, to change understanding of the phenomenon and, what is the most important, to carry out actions that produce valued outcomes. 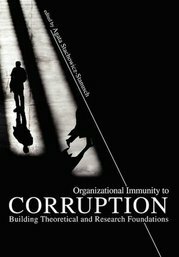 This exciting book provides an authoritative and comprehensive overview of organizational corruption. It is an essential reference tool to carry out further research on corruption in organization. This book uncovers new theoretical insights that, I hope, will inspire new questions about corruption in organization; it also changes our understanding of the phenomenon and encourages further exploration and research." (Agata Stachowicz-Stanusch). Farkas, Richard P. 2007. Democratization in the Balkans: prescription for a badly scarred body politic. Boston: Northeastern University Press. Richard P. Farkas provides the first comprehensive look at the post-Communist democratization process in the Balkans from short- and long-term domestic and external policy perspectives. Close examinations of the emergent democratic experience in Croatia, Bosnia, Serbia and Montenegro, Albania, and Macedonia since the end of the Balkan Wars highlight the dramatically varied and formidable economic, social, and political problems and international pressures that have plagued the democratization process in this region. Farkas recognizes both positive and negative consequences of democratization in the Balkans and presents his findings in lucid, accessible prose that will stimulate debate in the academy and among policy-makers. The Balkan states have experienced tremendous difficulties in making the transition from faction-ridden, violent, and authoritarian societies to more democratic political systems. Significantly, in many respects, their efforts to rebuild in the face of ethnic conflict and to democratize may foreshadow what other states will likely experience. The author concludes that within each of these societies, consensual and effective leadership must emerge and be empowered. This volume gauges the progress of democratization by comparing the various Balkan post-Communist societies, focusing on those elements that define a functioning democracy: tolerance, obligation, legitimacy, voice, constraint, and transparency. Students and scholars of Balkan history and politics will welcome this timely, path-breaking, and forward looking study. Hadžimuhamedović, Amra. 2005. Ljudska prava i razaranje kulturnog pamćenja: slučaj Stoca = Human rights and destruction of cultural memory : the Stolac case. Sarajevo: Helsinki Committee for Human Rights in Bosnia and Hercegovina. 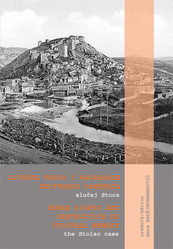 The book represents the results of work on definition of relationship between destruction of cultural memory and human rights in the specific case of Stolac. The goal of the book is to launch systemic deconstruction and construction of knowledge on the relationship between human rights and collective memory. That goal would be achieved through examination of the meaning of verbal constructions presented in contemporary legal framework and used to define human rights, such as: cultural rights, religious rights, right to identity, right to public space, right to heritage. Each of these rights is examined in the context of establishment of significance of cultural memory for survival of a community as a framework for exercising of individual human rights. Al-Hadid, Mohammed. 2004. "The Role of National Red Cross and Red Crescent Societies in Peace-building". Making the Voice of Humanity Heard : Essays on Humanitarian Assistance and International Humanitarian Law in Honour of HRH Princess Margriet of the Netherlands. 411-430. HRH Princess Margriet of the Netherlands has made her mark in the annals of the International Red Cross and Red Crescent Movement. In this anthology, prominent members of the world community and global experts and practitioners come together to pay tribute to Princess Margriet for her decades of dedicated service to the Movement and the Netherlands Red Cross Society. This tribute takes place on the occasion of the end of her eight-year tenure as Chair of the Standing Commission of the Red Cross and Red Crescent. Under the Princess's guidance, the Standing Commission has come to play a strong and unifying role in the Movement. 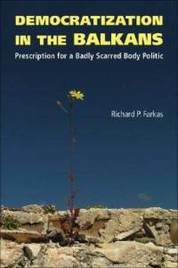 This unique collection of scholarly and inspirational essays offers a wealth of information on the constituent components and statutory bodies of the Movement and contemplates its mission to help victims and improve the lives of vulnerable people. It addresses the humanitarian concerns and challenges of our time. The anthology further provides a unique forum for the current debates on the application and development of international humanitarian law. It also discusses the Movement's relations with governments and external partners and the contribution of volunteers. This is the first book to bring the relatively unknown Standing Commission of the Red Cross and Red Crescent and its work prominently to the fore. 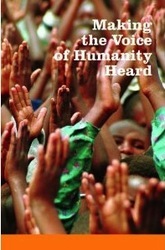 "Making the Voice of Humanity Heard" is essential and accessible reading for anyone interested in the daunting tasks and fundamental role of the International Red Cross and Red Crescent Movement as well as the contemporary threats and challenges to humanitarian assistance and international humanitarian law. Alfredo Sferi-Younis. 2006. Violation of human rights is a threat to human security. In Picciotto, Robert, and Rachel Weaving. Security and development: investing in peace and prosperity. London: Routledge. This essay acknowledges how security experts do not talk with development experts and provides an integrated framework for reexamining human security from a human rights standpoint. Dr. Sfeir-Yunis examines the intersection of human rights and human security from a normative and socioeconomic development perspective. This book examines the delivery of effective aid under fire, and securing the peace in environments where governance is fragile. More than a billion people live in countries where governance is weak, poverty is rampant, and economies are depressed. Failed and frail states provide breeding grounds for civil strife, criminality, and "new wars".